Catch the CRAZY RATE across 6 Sands Resorts Macao Luxury hotels & resorts. Here you go! *Due to high volume of traffic accessing our official WeChat account, guests may experience delays in response to QR code scanning or receiving push messages. Thank you for your patience and participation! 2 hotels will be releasing their flash deals at specific sessions each day as listed below. *Note: During the Flash Deals period, every WeChat user can only book one room night at one hotel. Wanna stay for more days? 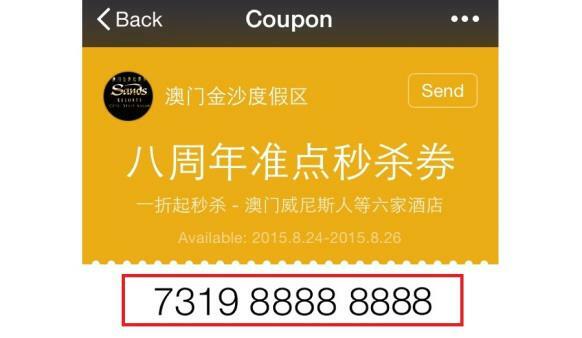 Just share the good news to your friends on WeChat and get the deals! Follow "SandsResortsMacao" official account on WeChat! Plan your travel dates to Macao! When the Flash Deals Sessions open, click on your staying dates and start to book! 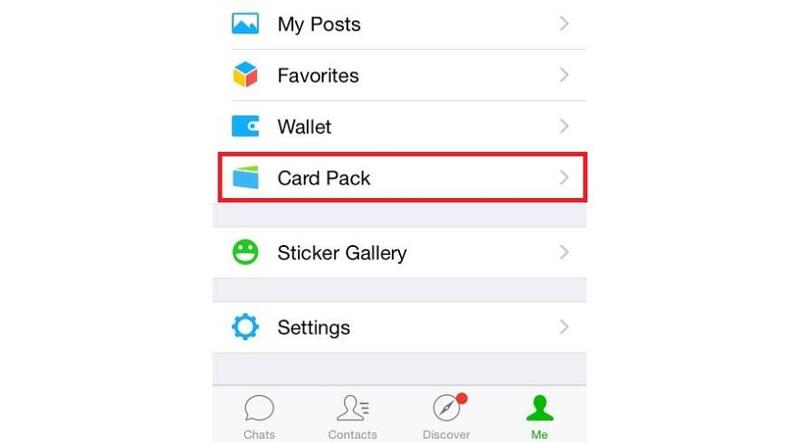 *Don't forget your WeChat Voucher ID! "Where can I get the WeChat Voucher ID?" Get it on SandsResortsMacao official WeChat! Submit, Pay and Done! MasterCard,Visa, American Express and AliPay are accepted! You will have 5 minutes to complete the payment after submission. If the payment is not completed in 5 minutes, you will have to start over.